Google Books (formerly known as Google Book Search and Google Print) is a service from Google that offers access to full text of eBooks which has been scanned, converted to text using optical character recognition and stored in its digital database. 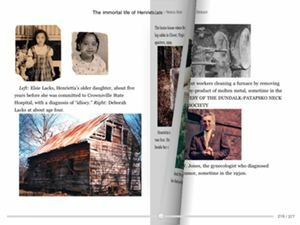 Recently, Google has released a new version of Google Books app for iOS devices to enhance reading experience. This iOS application has been designed to allow the users to access more than 2 millions Google eBooks on their mobile device while on the go. Read Google eBooks in Landscape mode on iPad. “Find” feature shows all matches in the book as scroll down. Tapping “Get eBooks” signs into Google eBookstore with the username used to login into the app. Added a clear no-network error message alert. 3-D page turning available on iPad on iOS 4.3. Better Google eBooks downloading experience. Better experience on iPad with 3G but no cellular data plan. Those users who new to the Google Books app for iOS devices and want to know more about the Google Books, can check the below for the key features of the Google Books app for iOS. Able to change font, search within book and information about book. Access to millions of books in every imaginable category, from the New York Times bestsellers to favorite classics. Over 2 millions free ebooks available instantly. Hundreds of thousands of books for sale. Unlimited storage of books in the digital cloud. Find books at http://books.google.com/ebooks and add them to the ‘My Google eBooks’ shelf to sync. Access all your ebooks wirelessly from the digital cloud and no dedicated e-reading device required. Automatic page position synching across devices, pick up reading where you left off. The Google Books app for iOS devices version 1.1.0.2247 is a free app which can be download from App Store. The app is compatible with iPhone, iPod touch and iPad with iOS 3.0 or later.